// © 2012 Canberra Carriage Company Ltd.
// Design © 2012 By Edward Curtis. No part may be reproduced in part or in whole. 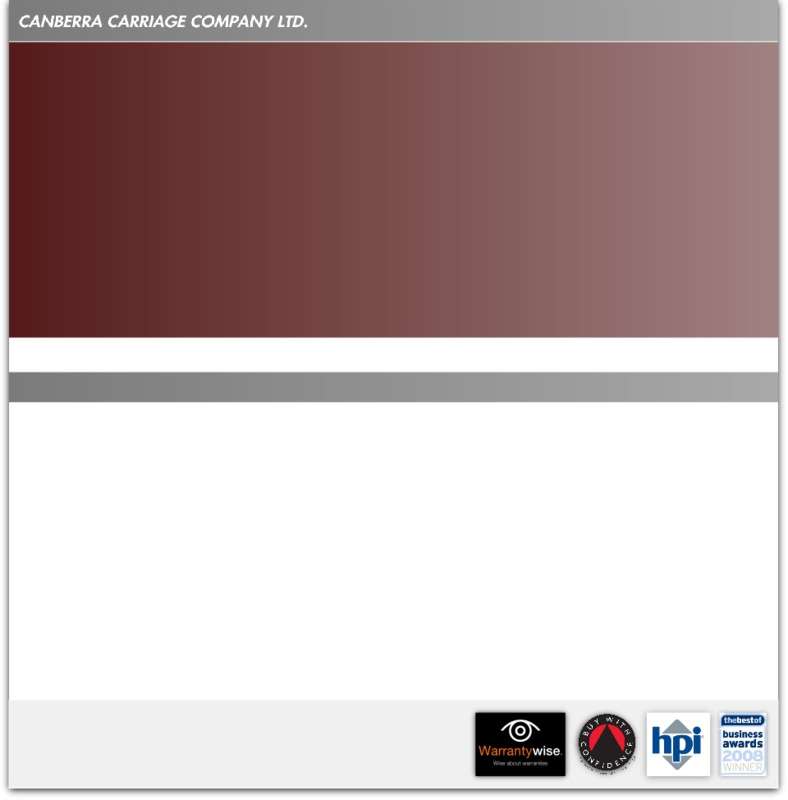 Canberra Carriage Company are a family run business. Established 26 years ago by 3 local business men. The business was started to provide a quality, personal service at a competitive price. Taken over 9 years ago by Mark, Sarah and sons, Joe and Jake. Mark has been with Canberra for 25 years. With the ever changing pace of the motor trade, we have decided to move to a modern purpose built premise, including a brand new automated MOT test centre. The MOT ATL. ( Automated Test Lane) is fitted with the very latest test equipment so we can now carry out MOT`s on site. Our new premises are situated on the Gorse lane Industrial estate, providing much easier access than our last unit, with ample parking. As well as MOT`s we will still be Carrying out servicing, repairs, diagnostics, air conditioning and all the usual service connected with looking after a modern motor vehicle. Although we no longer have a car showroom we will stock a small number of quality low mileage cars. To keep our sales cars at a competitive price ,we will be offering a car sourcing service .